This double bill is longer than usual (from 5pm to 7pm) and will also be a fundraiser for the Kirstenbosch Centenary. Going from strength to strength, Prime Circle has just released their fifth album to fans after 11 years together. With a countrywide tour behind the back, Prime Circle�s new album Evidence is already making waves and the band will be off on a launch tour to Europe in April. The first single, Time Kills Us All, heralds a new chapter for Prime Circle and the second single and title track has already achieved great popularity amongst fans. 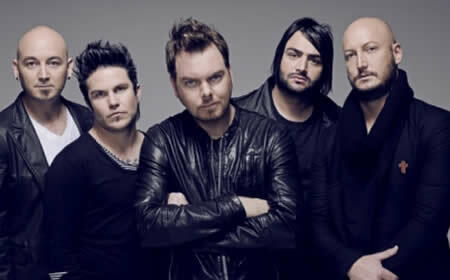 Based on Prime Circle�s previous performances at the Kirstenbosch Summer Sunset Concerts Prime Circle fans will be rushing for tickets and, judging by previous attendance at their December 2012 concert, should be an early sell out. Dan Patlansky, considered a blues legend at the ripe old age of 30, is blazing musical trails across South Africa and the rest of the world. Patlansky, with two albums under his belt release his third and fourth in 2007 (Real) and 2009 (Move My Soul), each successive album garnering wider acclaim than the previous. Patlansky continues to perform around South Africa and the world in the company of world-renowned musicians. Dan Patlansky with Prime Circle offers music fans a great opportunity to enjoy several musical genres in the beauty of the Kirstenbosch Botanical Gardens � and a great start to the long weekend. The Dan Patlansky/ Prime Circle Kirstenbosch Summer Sunset Concert takes place on 21 March from 5:00pm to 7:00pm. Gates open at 4:00pm and tickets are R110 for adults and R80 for youths aged 6 to 21 years.